Atlanta Plumbing Repair | Emergency Plumber Services in Acworth, Alpharetta, Atlanta, Berkeley Lake, Brookhaven, Buckhead, Clarkston, Decatur, Duluth, Dunwoody, Johns Creek, Kennesaw, Lawrenceville, Lilburn, Lithia Springs, Marietta, Milton, Norcross, Powder Springs, Roswell, Sandy Springs, Smyrna, Snellville, Stone Mountain, Suwanee, Tucker, and Woodstock, Georgia. We are Atlanta plumbers and experts in leak detection, water heater replacement, drain cleaning, sewer line, and more. For quality plumbing services in the Atlanta, GA area. When quality matters, call a Ridgeway Mechanical plumber. Welcome to Ridgeway Mechanical Inc, Atlanta’s premier plumbing contractor. For over 35 years we have fulfilled the plumbing need of resident of Acworth, Alpharetta, Berkeley Lake, Brookhaven, Buckhead, Clarkston, Decatur, Duluth, Dunwoody, Johns Creek, Kennesaw, Lawrenceville, Lilburn, Lithia Springs, Marietta, Milton, Norcross, Powder Springs, Roswell, Sandy Springs, Smyrna, Snellville, Stone Mountain, Suwanee, Tucker, and Woodstock, Georgia. Our Atlanta plumbers are ready on a moments notice to take care of any plumbing trouble you may have. Today, we continue to fulfill that legacy by providing honest work and competitive pricing for nothing short of excellent plumbing work! If you have ever worked with us, you may have noticed that there are not too many young guys working at Ridgeway Plumbing Atlanta, that is because more than 90% of the plumbers we hire holds a master plumber certificate! Getting certified as a master plumber requires not only training but experience. If experience matters to you give us a call at (770) 450-1900. Trust us. We offer a very competitive cost for the best quality plumbing you will find in the Atlanta metro area! Looking for a dependable plumber in Atlanta that is not going to burn a hole in your pocket? 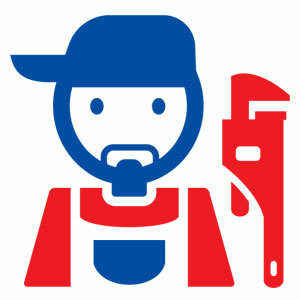 The Ridgeway Mechanical crew is available 24/7 to service any of your plumbing needs. Regardless of how big or small, your plumbing problem is you can give us a call anytime, day or night. Count on Ridgeway for honest and reliable plumbing service will save you money and we provide FREE estimates! For over 35 years Ridgeway Mechanical has been servicing the Metro area and surrounding suburbs. Over this period we have forged relationships with many local plumbing suppliers and can pass those savings on to you. Whether you are looking for a completely new system or a simple fix, Ridgeway Mechanical is the one to call! What type of water heater do you have or want? 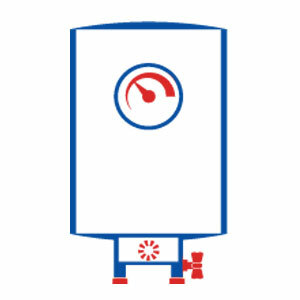 Regardless of what type of water heater you may have or want, gas, electric and propane water, fixing or installed we have you covered. We have been installing and fixing gas, electric and propane water heaters throughout the Atlanta Metro area for over 35 years! This knowledge in this area allows us to suggest to you the most sensible solution and get your water heater problem fixed fast. If you do need to replace your water heater Ridgeway Mechanical has leveraged relationships with many local plumbing suppliers to provide you with the best possible pricing possible. Do you like to shower with HOT water but are tired of running out of hot water every time someone else takes a shower ahead of you? Never run out of hot water again! Upgrade your water heater to a tankless high-efficiency model? 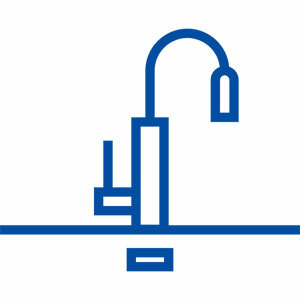 Modern tankless water systems not only provide unlimited hot water but because of the “on-demand” design of the system, but also they save energy. 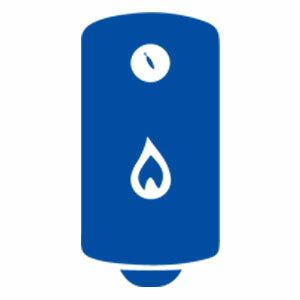 Old water heaters work by keeping a reserve of hot water in the tank at all times. With older units, a large amount of energy is required to maintain the water temperature even if the hot water is not in use, but with new tankless water heaters, the on-demand system heats water only when you need it. Start to save money and energy today by upgrading to a tankless water heater today! Ridgeway Plumbing Atlanta has been repairing and replacing water and gas lines throughout Georgia for over 35 years. As of 2017, we have replaced more than 85,000 water lines. Ridgeway Mechanical is your piping experts, whether you just have a simple leak or need a completely new system. Whether you need repair, replacement, and or leak detection, we will find the best solution for you to be safe, up to code, and save money. We use minimal damaging procedures to access your pipelines and always clean up after the work is complete. Another popular service we prove is piping degrades! Over time both water and line pipelines may need replacing in older houses. Don’t wait until your system is completely damaged. Call Ridgeway Mechanical today for a free inspection and avoid future problems! A Ridgeway Plumbing Atlanta technician will come out and inspect your system and quote you the best solution to bring your system up to date. 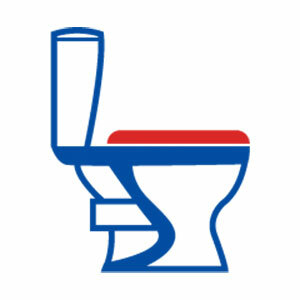 In need of toilets, tubs, and showers replacement or repairs? Do you have a toilet or tub that is leaking water? 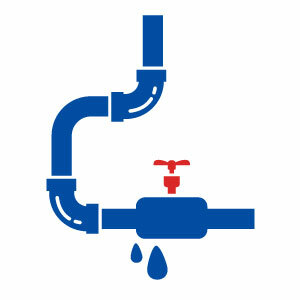 Any water leak left unchecked can cause thousands of dollars in damage! If you are in need of bathroom plumbing repairs, call Ridgeway Mechanical day or night. We will send a technician out to inspect your problems many times within hours of your call. We can then recommend a solution on the spot. Ridgeway Mechanical is also your expert bathroom renovation specialist. We have a wide range of kitchen equipment available from top manufacturers to go along with your new bathroom or kitchen. For over 35 years Ridgeway Mechanical has helped hundreds of clients with kitchens and bathroom renovations. Let Ridgeway Mechanical be your plumbing contractor in Atlanta for all your renovation needs! We will give you clear timelines and costs up front, so there is never any surprise! Ridgeway Mechanical can help you with any kitchen plumbing repairs such as sinks, faucets, dishwashers, or any other type of renovation or replacement need. Annoying leaky faucets or appliances can sure be a pain, but there is no need to worry! Ridgeway Mechanical specializes in kitchen plumbing and renovation. Whether you need a new kitchen sink or simply needs fixing call us anytime! We can be your partner throughout the entire process renovation process and work for hand on hand with your designer to make sure you get the kitchen you always wanted. Give us a call today and see how you can save money. We always quote you up front, so there are no hidden surprises or questions when before or after completing the job.